Do you walk around naked indoors? The question is what do you wear on your feet in the house? 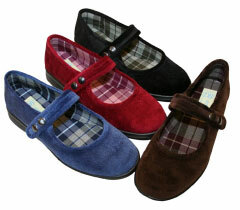 Did you know that a large percentage of falls occur in the home and that often it is because of ill-fitting footwear? Why would you take the risk of a fall and the devastating consequences it can lead to? 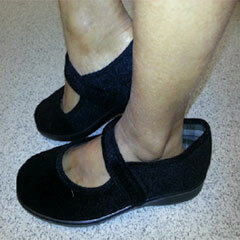 Foot Health professionals recommend a house shoe or supportive slipper to be worn indoors. Most people will have their shoes fitted for them so why not have your slippers fitted as well? Do you know what can happen to you if you happen to fall in the home let’s just say? All because you was wearing inappropriate footwear in the home. Cuts and bruises on the body. All these can have devastating consequences as well as the massive inconvenience. Take the time to look at what you are wearing indoors carefully. If you are not sure then seek advice from a Professional. Every year a large percentage of people will fall with potentially devastating consequences. Inappropriate, ill-fitting or loose footwear. Would you buy spectacles without an eye test? So why buy shoes without a foot scan? Do you know your foot type? Do ypu really know your foot size? These are important facts that will determine which shoes would be best suited to keeping you walking in comfort all day long. 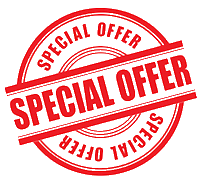 Why not book in for a complimentary footscan and foot assessment. The healthiest socks that you will ever wear. Unsurpassed in comfort, performance, and protection. Clinically proven to help prevent bacteria, fungi, and odour. Improve skin texture and appearance. Copper ions, embedded in the yarn and guaranteed to last for the life of the sock, provide superior protection and eliminate 99.9% of bacteria, fungi and odours commonly found in feet. Think simple pleasures, warm sand between your toes and grass under your feet. Unsightly toe nails or ingrown toenails? Help with feet at work and in pregnancy and yes, embarrassing feet. This year you are being encouraged to become more"foot aware" and not to be embarrassed of your feet.t fit for life. Are you embarrassed of your bunions? Do you have difficulty finding shoes that are comfortable? Do have difficulty finding shoes that look good? Do you have difficulty finding sandals? This year for falls awareness week, the theme is healthy feet. It is estimated that 1 in 3 people aged over 65 fall each year. The consequences can be devastating. Accidents can happen so easily, but many falls can be avoided by wearing correctly fitted, supportive footwear around the home. It's natural to want the comfort, warmth and easy access of slippers. Most falls that older people experience however happen within the home and such falls are often due to poorly fitting footwear, with little or no support.